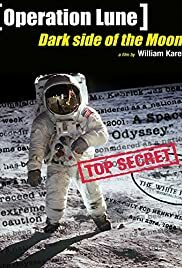 This hard-hitting mockumentary exposes how Stanley Kubrick faked the 1969 moon landing, with seeming-endorsements from many key players in NASA and the US government. It is brilliant in one sense. But then, why bother. People like Kissinger or Rumsfield are the most evil, sinister, worse than the devil, nation building, murderous, imperialists. They were and are. Even though that sounds like some "socialist" student rant - should not be easily discounted even where the student may turn into an old man even more conservative than the media's most evil man, Rupert Murdoch. Evil is a bad word, sullied by biblical, fictitious illusions. I am sick of how, in this world, there are men who force an evil agenda, far worse than imagined in the bible, and they get off scot free, even celebrated - going where all the Bourgeois hang out (and make docos together), as if "everything is everything", and we are all friends and it's all a laugh. IF war were over, I wouldn't make this rant. In that case, forgiveness could start. Innocent people die, still, while war criminals are treated as heroes and make jokes about fooling everybody, or not. 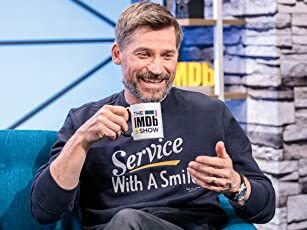 One obvious step further; the main reason those innocent people die is so that some other people pillage the resources to make sick jokes on very expensive film. And here some of them are, having fun at mocking the idea of a conspiracy. Hence I use words like the devil or evil, as understatements. WAKE UP WORLD. I have been saying this for a long time now. The biggest problem with conspiracy theories is that fact is already more shocking! Kissinger, Rumsfield, et al, are directly guilty for leading, sending men to kill many other men FOR A PARANOIA (WITH FAR LESS BASIS FOR IT) THAN YOUR AVERAGE CONSPIRACY THEORY/IST. And here is this Documentary maker, allowing them more fame and the arrogant position to mock. Kissinger didn't feel as though he had enough Vietnamese killed, so why not take part in a mockumentary that uses them as bit parts. They may be kidding, however, Vietnam, Laos, Cambodia, Korea, Iraq, etc, etc, etc. the tens of millions murdered, are no joke. Certainly an interesting documentary, just as Hitler's men made some interesting experiments on people too. A very strange co-incidence for me, that I saw this so very soon after 'Exit Through The Gift Shop' - (apparently NOT a hoax, but I still dilly-dally on that). Said documentary or elaborate hoax is far more interesting and incomparably funnier. Jeez I hate Donald Rumsfield, with politicians like him you can bring back Stalin or Saddam any day.